The Pain Relief Foundation is a member of the Fundraising Regulator (FR). The Fundraising Regulator is the independent regulator of charitable fundraising. They were established following the Etherington review of fundraising self-regulation (2015) to strengthen the system of charity regulation and restore public trust in fundraising. It’s members agree to adhere to the highest standards of good practice with their fundraising and their stated Fundraising Values. Members demonstrate membership of the scheme by using the official scheme logo on all fundraising materials. By participating in the scheme, charities are advertising commitment to best fundraising practices and to giving the public the comfort of a ‘safety net’ provided by a robust complaints system. The Fundraising Regulator’s mission is a commitment made to the public by members of the Fundraising Standards Board scheme. It has been compiled in consultation with fundraisers and the public and is based on key values that centre on honesty, accountability and transparency. The Fundraising values represent a commitment to the highest standards of good practice, and to ensuring that all fundraising activities are open, legal and fair. The Pain Relief Foundation is a member of the Fundraising Regulator (FR). The FR, supported by the members, work together to ensure that organisations that are raising money for charity from the public, do so honestly and properly. 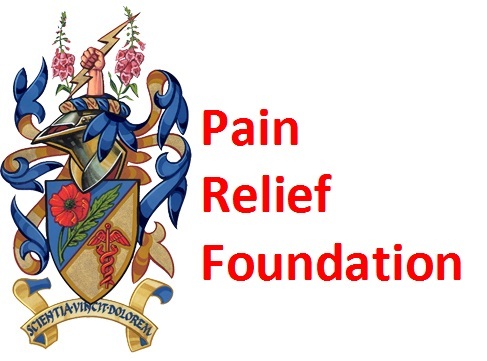 As members of the scheme, the Pain Relief Foundation follows the Institute of Fundraising Codes of Fundraising Practice and comply with the key principles embodied, both in the Mission and Values . We also agree and promise donors, that we shall at all times be committed to the highest standards of practice, to ensure that all of our activities are open and fair and that we shall be honest and legal. We are committed to working to the highest standards of practice at all times. We promise donors that we will comply with the FR Codes of Fundraising Practice and do all that we can to ensure that fundraisers and volunteers will at all times comply with the Mission and Values. We comply with the law, health and safety and the environment. We will not put unfair pressure on anyone to make a donation. If you don’t want to make a donation, we will respect your decision. We require anyone fundraising on our behalf to clearly identify themselves as one of our representatives. We are honest and open and do not make false or exaggerated claims. We do what we say we are going to do and don’t pretend to do things that we can’t. We will answer any reasonable questions you have about our fundraising activities and costs. Please contact us for information, visit our website or see our Annual Report. We are clear and give clear details about how you can make a gift. If you make a regular gift and you want to cancel it, we will carry out your cancellation instructions as soon as possible. We are clear about what we do and how your gift is used for the effective support of our beneficiaries. We are fair and respect the rights, privacy and dignity of each of our supporters and beneficiaries and conform with the Data Protection Act. We will only use your personal information for the purposes stated and for which you have given your consent. If you tell us that you don’t want us to contact you in a particular way (e.g. by telephone) we won’t do it. We are reasonable and responsible and will be careful not to use any images or words that cause distress or offence. We make sure that our events are well run and meet health and safety and environmental requirements and we avoid causing any nuisance, damage or disruption. We won’t use excessive emotional arguments to make you feel guilty about not giving to us. We are accountable and should you be unhappy about anything we have done while fundraising, you can write to us and complain. We have a complaints procedure and we will acknowledge your complaint within 7 days and commit to dealing with the matter within 30 days. A copy of our procedure is available on request and if we are unable to resolve your complaint, we accept the authority of the FR to make a final adjudication.